What does a literary agent do for writers? A literary agent is someone who works with authors to help them get a traditional publishing contract. These days, very few traditional publishers will accept unsolicited manuscript submissions – meaning that they will only consider books with agents to represent them, due to the sheer number of manuscripts being submitted to them every day. Agents will often offer editorial assistance to an author once they’ve been signed. They will also help them negotiate a publishing contract, and draw on their knowledge of the business to get them the best royalty percentage and contract terms possible. 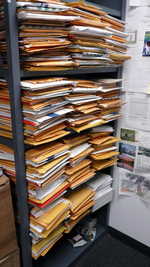 Like traditional publishers, some agents are receiving up to one thousand manuscripts a week. As you might have heard, many manuscripts end up in a ‘slush pile’, often resulting in work not being properly read before being rejected. It can be disheartening for authors to spend a lot of time and money submitting to agents, only to get rejections. It is the nature of traditional publishing to be very subjective, so try not to get too disheartened, and definitely don’t give up writing! If you get a rejection, try rewriting your submission, or self-publishing your book to prove to the agent and publisher that it has an audience. Remember – J K Rowling was turned down by 12 publishing houses before Harry Potter found a home at Bloomsbury. Publishers aren’t only after a great manuscript – they want a great author behind it who is going to be proactive and help them sell the book. Having book sales figures behind you can really improve your chances of getting an agent. Authors who self-published and caught the eye of traditional publishers include E. L. James and her bestselling Fifty Shades of Grey series, the crime author John Grisham and even Beatrix Potter and The Tales of Peter Rabbit. CompletelyNovel teamed up with London agency Greene & Heaton in 2014, and we now send our best self-published books for review by literary agents every month – at no cost to the author. Literary agents are actively looking for self-published authors, so there is no reason you can’t try both routes. 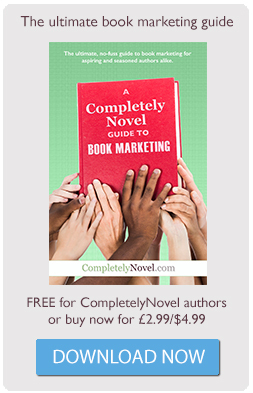 Find out more about how you can self-publish your book, on CompletelyNovel. Another important piece of information you can find in writers’ guide books such as The Writers’ & Artists’ Yearbook and on the websites of agents and publishers, are specific submission guidelines. Make sure you follow these guidelines – they are there for a reason! While the submissions procedure is generally the same (a cover letter, short synopsis and the first three chapters, or 50 pages for fiction; a cover letter, proposal and writing sample for nonfiction), it’s always worth double-checking. If you can’t find the information online, try calling or emailing the agency directly. A neat, professional-looking submission gives your work the best possible chance of being taken seriously and getting published. Make sure your manuscript is formatted in the correct way (often this is typed on A4 paper with double-line spacing) neatly fastened together, with numbered pages. Check everything for spelling mistakes and typos – especially your cover letter! If you write under a pseudonym, include your real name and your pseudonym on everything you send. 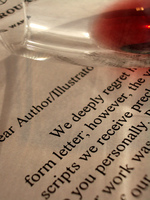 If you’re sending out multiple submissions, remember to change the name of the agent the query letter is addressed to. Literary agent Juliet Mushen’s gives some top advice on how to write the perfect cover letter, blurb and opening chapters, in our Get Your Book Fit online course, on Udemy. There’s plenty of advice available online to help you write a good query letter – and much of it is aimed at submissions to American agents. Query Shark is a blog run by an agent, in which she dissects queries submitted to the website (but not those sent to her agency) pointing out where the writer has gone wrong and what they can do to improve. Nathan Bransford is another American literary agent with a blog that often has tips for writers hoping to get published. For those of you submitting self-published books, agent-hunter Harry Bingham gave some great submission tips on the CompletelyNovel blog. Not all agents represent all types of books, and it will only waste time to send your children’s book to an agent who specialises in historical romance, for example. You can find out which genres agents and publishers are interested in by checking their website, or entry in The Writers’ and Artists’ Yearbook. This book, along with The Writer’s Handbook are both excellent resources for authors interested in submitting their work for publication. You can also check out the Agent Hunter database, which is searchable and offers some insight into an agent’s likes and dislikes. Agencies’ websites often list their clients, so check out which publishers the agents have worked with before. They will probably be drawing on the same contacts for your book. It’s also worth looking at website Writer Beware – a site run by the US Science Fiction Writers’ Association, but relevant to all writers. This site collects information on dodgy publishers and agents in a ‘Whom not to query’ list, and reports on publishing scams. How long does it take to hear back from an agent? Agents often respond in six and eight weeks, but it can be longer at busy times of the year. Because so many submissions pass through agencies, even manuscripts that an agent agonised over for hours may get only a standard rejection – so try not to get too disheartened if you get one of these. If you do get feedback in your rejection letter, it means the agent thought highly enough of your work to spend some time analysing it: a very good sign. If you don’t hear back instantly, pestering the agent won’t win you any friends (or a contract! ), but a polite email, letter or phone call near the end of the consideration period asking about the progress of your submission is fine. If you don’t hear anything from the agent after three to six months, it is probably best to assume they are not interested in your work and direct your energy to other agencies, or concentrate on self-publishing. Agents can help authors negotiate better financial deals with publishers, but they do charge around 15% commission to do this. If you ask a literary agent, they will tell you that writers with agents make more money overall. They are better at selling rights and getting publishing deals overseas – but it isn’t essential to have an agent if you get approached by a publisher directly. More information on the role of a literary agent can be found in this series of videos made by Jonny Geller of Curtis Brown Literary Agency. We send books to Greene & Heaton Literary Agency each month – find out more here. 5 questions for literary agent, Julia Kingsford. Here are the main points that you need to remember if you want to get published. Keep your options open – pursue the traditional route and try new approaches like self-publishing for the best overall chance. Make sure you are approaching publishers and agents who publish your type of book. Spend time on your query letter – research how to write one and check your spelling!